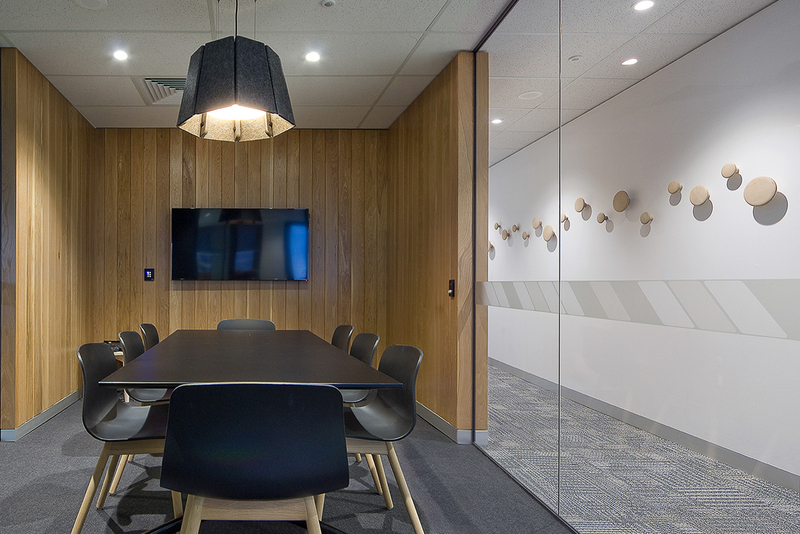 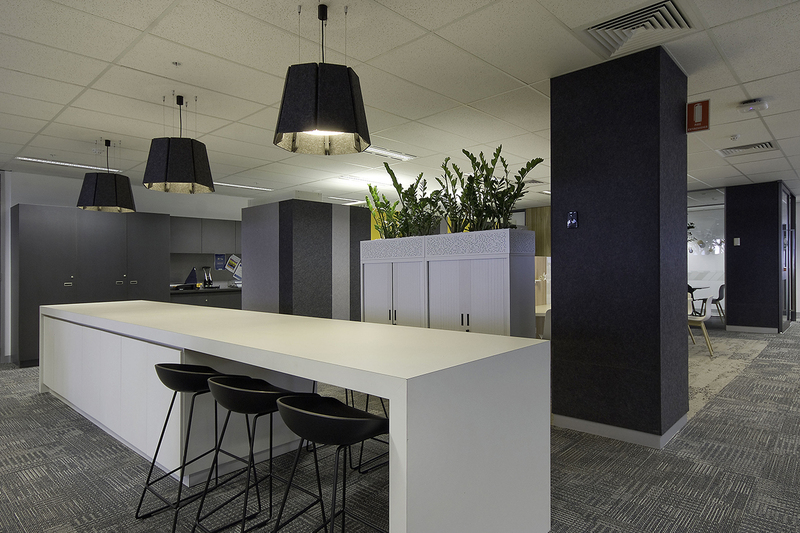 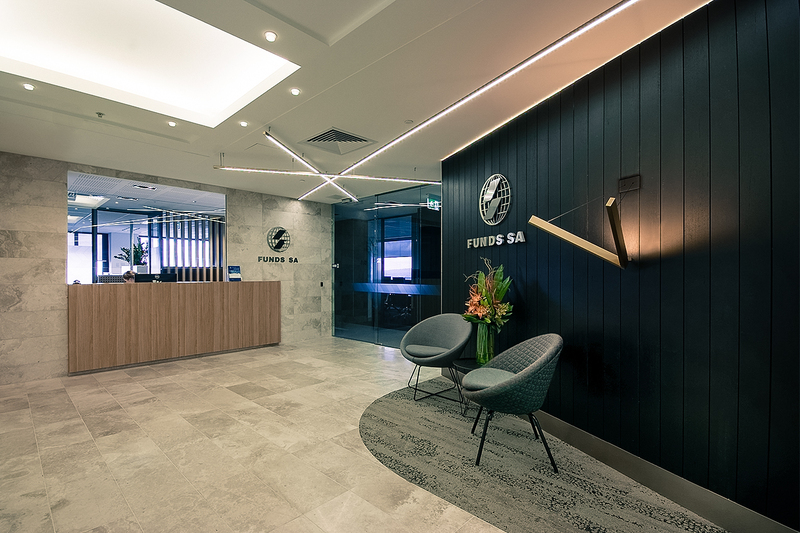 The design philosophy for the new Funds SA fitout was to provide a contemporary, understated and professional environment in which the various operational groups could be co-located. 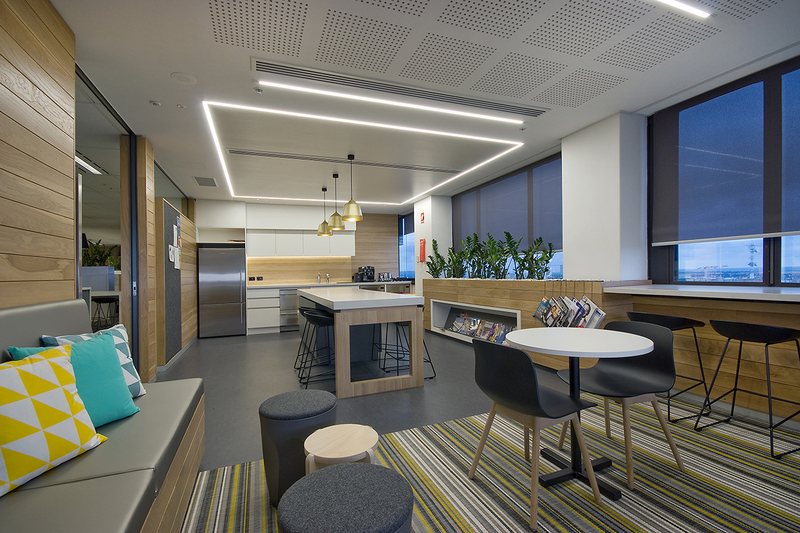 The facility incorporates a series of flexible and interactive function spaces such as a semi-enclosed staff café / lounge, open plan work areas and glass fronted offices, informal meeting areas, hot-desking and communal access to Bloomberg financial real-time data. 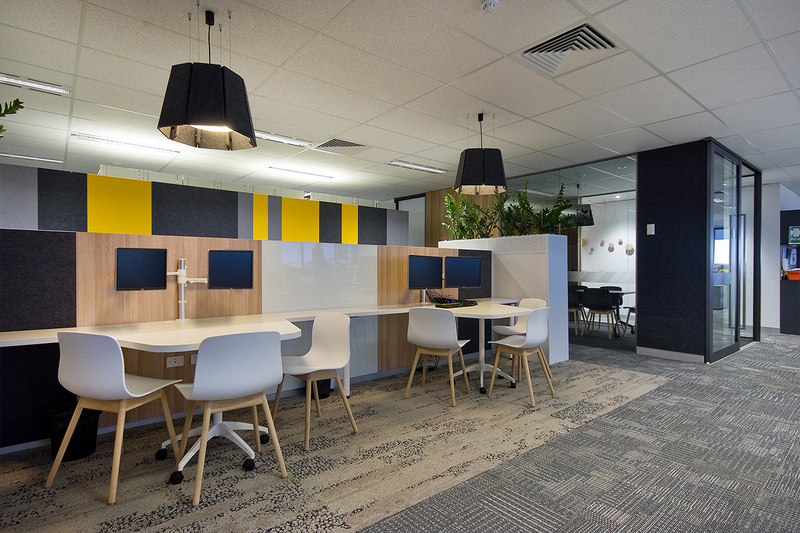 The new environment enables greater collaboration and interaction amongst staff in a central CBD location.